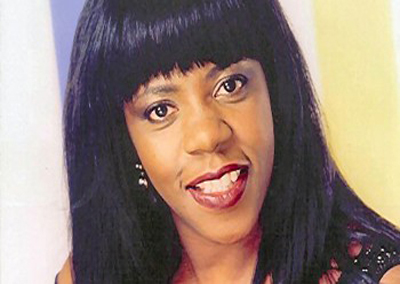 Jaki Graham is a unique vocalist and one of the most appealing Soul entertainers to emerge from the UK. Born in Birmingham on the 15th September 1956, Jaki’s childhood was far from easy. Her parents came from Jamaica, moving to England in the fifties, to a small rented bedsit in Handsworth, Birmingham. At 15, Jaki met future husband, Tony Ormsby who wooed her with his Irish charm (older brother of ex- Aston Villa footballer and Leeds United Captain, Brendon Ormsby). To many people, they had nothing in common. She was black, he was white! But at 17, Tony proposed and they married in 1976. With much shame, there were many who showed prejudice and intolerance towards the mixed race coupling. Stones instead of confetti were thrown at their wedding car as they set off to begin married life together. However, those who had little faith or understanding were proved wrong as thirty-three years later, they are still going strong. The first band she joined was One Night Affair, followed by the ‘SRO Band’ and then ‘Ferrari’. After recording a session for a jazz funk group called ‘Medium Wave Band’, it is here she was spotted by a talent scout. She signed with EMI in 1983 and ‘Heaven Knows’ became the title track of her debut album. Her second single entitled ‘What’s the Name of Your Game?’ gave Jaki her first TV appearance on ‘Crackerjack’. ‘Could it be I’m Falling In Love?’ reached #5 in the British charts in March ’85, with her second and last hit duet entitled ‘Mated. ‘Round and Around’ (#9) was Jaki’s first solo hit in June ’85, ‘Set Me Free (#7) in May ’86, ‘Breaking Away’ (#14) followed in August ’86 and ‘Step Right gave her yet another Top 20 in November ‘86. 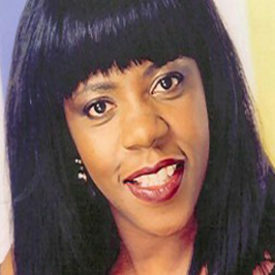 Jaki achieved a Guinness World Record as the first black British female solo artist to have 6 consecutive Top 10 / 20 hits, unheard of by a black British female at that time. Michael McDonald, whilst looking for a female singer to accompany him on ‘On My Own’ for his UK Tour, personally chose Jaki over stream of UK female vocalists saying she was ‘one of the best singers Britain has ever produced’. Their friendship remains to this day and he has also gone on to write for Jaki. Particularly successful in Japan in the 90’s, releasing 5 albums, her first album ‘Real Life’ sold more than 800,000 copies in less than four weeks, with tickets for her tour selling out in 20 minutes. ‘Real Life’ gave Jaki international hit singles elevating her status further. ‘Ain’t Nobody’ did exceptionally well in the USA reaching No.1 in the Billboard dance charts for 5 weeks and the video made Top 5 in the American Black Entertainment Charts (BET). Sales of ‘Ain’t Nobody’ reached gold in Australia, Japan and the USA. During this period, Motown signed the album ‘Kiss the Sky’, which featured Jaki on lead vocals, and has since gone on to sell significant numbers worldwide, making Jaki officially Motown! As Jaki celebrates over 30 years in the industry, her story is an inspiration. Having lost both parents to Cancer (her father when she was only 10), her ability to become the conqueror rather than victim makes her an attractive role model. Following the phenomenal worldwide response to her ‘Gershwin & Soul’ concert with the BBC Big Band for Radio 2 in October 2009, only two weeks after being aired, the second was confirmed. March 12th 2010 will see Jaki again performing with the BBC Big Band at the Birmingham Town Hall, this time for an evening of Duke Ellington classics. There are plans to release the ‘Gershwin & Ellington’ live album around May 2010, followed by her forthcoming autobiography ‘Heaven Knows’.